GoPro Meet & Greet with Rush Sturges and Rafa Ortiz! Learn how to get that banger kayak shot with tips and tricks from the pros! 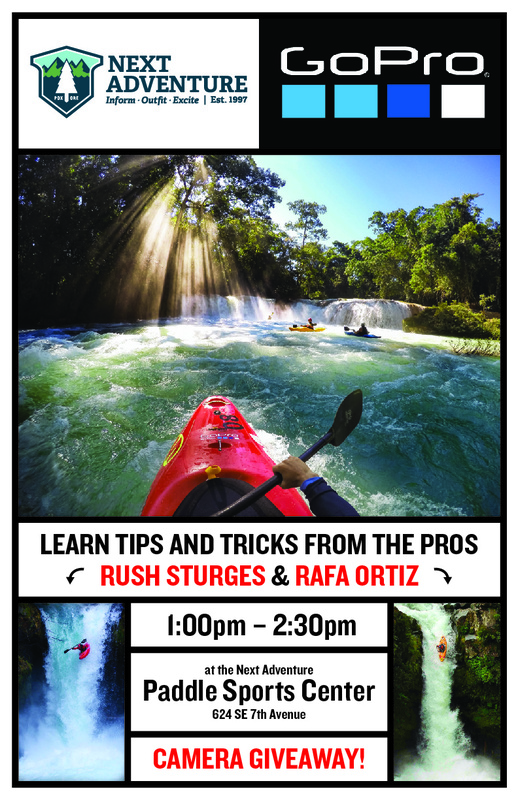 GoPro will be at the Next Adventure Paddle Sports Center on Thursday, October 5th from 1:00pm-2:30pm with Rush Sturges and Rafa Ortiz. This is your chance to hang out with the pros, get your questions answered, and see the new gear from GoPro.